JESUS CHRIST HAS THE POWER TO TRANSFORM ANYONE, REGARDLESS OF HOW TERRIBLY HE OR SHE HAS SINNED, FROM EVIL TO GOOD, FROM INFIDEL TO CHRISTIAN BELIEVER! 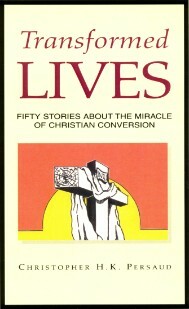 ...and 30 other stories about the miracle of Christian transformation. Order a copy of TRANSFORMED LIVES from www.Xlibris.com/Bookstore or from www.barnesandnoble.com or www.amazon.com You may also visit your local bookstore. 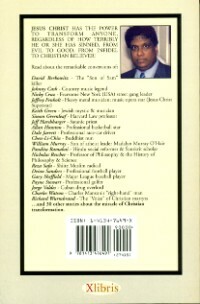 Author contact information and URLs of the author's other websites are shown on the HOME page.